Everyone Hates Advertising...Or Do They? Everyone Hates Advertising…Or Do They? 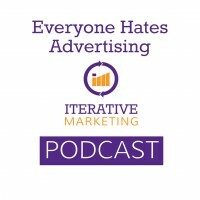 Does everybody hate advertising? A Marketing Land article says yes, but a recent study by HubSpot says 68% of consumers are actually OK with it if the message is relevant to them. So why the dissonance? In this episode, we explore why consumers are paying to opt-out of advertising with new technology, and how marketers can combat this trend by transforming their advertising from something hated, to something appreciated. “Annoying: The Science of What Bugs Us,” reveals that unpredictability makes something annoying. A lot of modern advertising is unpredictable.